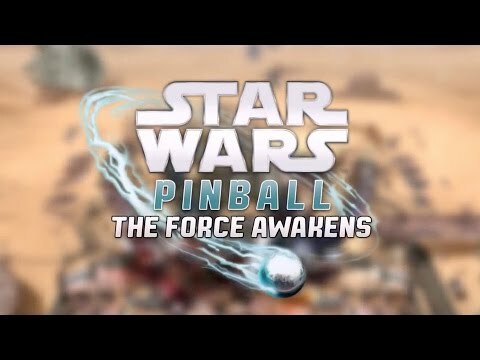 Based on events from Star Warsᵀᴹ: The Force Awakensᵀᴹ, players will be able to experience unforgettable moments from the film on two action-packed pinball tables. Team up with the Resistance to fight against the First Order alongside Rey, Finn, Poe, General Leia and Han Solo in the Star Wars™ Pinball: The Force Awakens™ Table! Take command of the First Order as you travel through hyperspace on board a Star Destroyer and restore order to a galaxy far, far away on the Star Wars™ Pinball: Might of the First Order table! Star Wars Pinball: The Force Awakens was released on PC, PS3, PS4, PlayStation Vits, Xbox 360 and Xbox One 1196d ago in the US and the UK.